Thermaltake, the world’s leading brand in performance PC chassis, high-efficiency power supply and innovative computer peripherals for PC Do-It-Yourself market, is proud to announce its collaboration with NVIDIA to design and engineer the new Element V NVIDIA Edition chassis, which is certified for the next-generation of ultra-high performance graphics cards, including the just announced NVIDIA® GeForce® GTX 480 and GTX 470 GPUs. The critically-acclaimed Element V chassis is a full-tower gaming chassis offering low-noise operation with excellent air-flow. With full-array of innovative designs such as 11 5.25” drive bays that can be configured to support up to 6 3.5” hard disks and native support for one 2.5” hard disk or Solid State Disk (SSD). Bottom mounted power supply cage enables superior thermal management to accelerate hot air removal that can affect the life-span or performance of today’s cutting-edge computing hardware. Convenience feature includes Plug&Play side panel fan that eliminates the need to physically connect the power connector to allow user to open up the side panel for maintenance or upgrade without having to worry about damaging cable wiring. 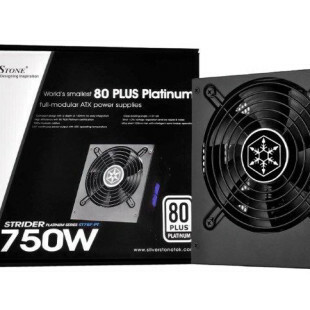 Built-in thermal control system with included fans pre-wired allows users to easily control the speed of the fan, as well as color of the included Colorshift LED fans to adapt to different working or gaming environment. 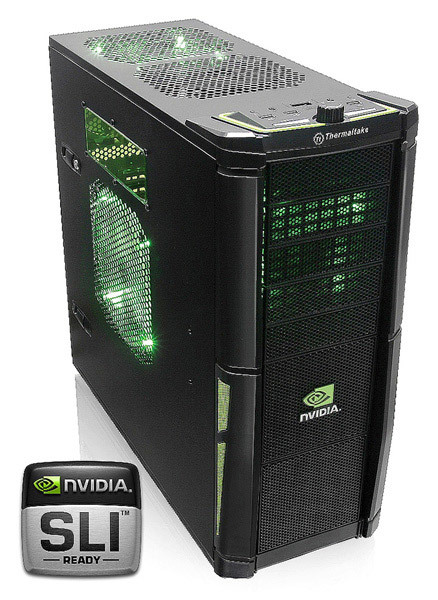 In addition to the oversized cooling fans, one 230mm Colorshift side intake fan, one 200mm Colorshift top exhaust fan, two 120mm front intake fans and one 120mm rear exhaust fan, found on the standard Element V chassis, Element V NVIDIA Edition chassis also incorporates graphic card “air duct” system engineered by Thermaltake and NVIDIA to provide added cooling for high-performance NVIDIA GeForce GTX 480 and 470 GPUs running in advanced 3-way or Quad SLI configurations. The proprietary “air duct” system brings cool and fresh air directly from the outside of the chassis and accelerates it to graphic card’s intake to increase heat displacement and achieve optimal cooling efficiency. Element V is the stock version of the chassis and is currently available worldwide. Thermaltake Element V NVIDIA Edition chassis will be available at major computer retailers around the world in April 2010.